MET 2 Decades Celebration concluded recently. Strong pursuit for excellence and drive to reach the unreached section of the society has enabled MET to be the only education body that has been conferred an NGO in Special Consultative Status with United Nations. Propelled by these principles, the 2 decades celebration finale has also marked the beginning of a new chapter: MET Seva – to serve the less privileged. 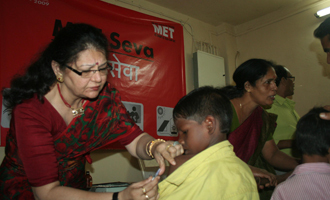 This initiative involved participation from all at MET.